Blue Angel Snow participants learn the requirements to earn the badge while participating in the winter-long program consisting of five days of skiing or snowboarding lessons at Mountain High and Sierra-At-Tahoe Resort, transportation from various regions throughout Southern California and the Bay Area, adult supervision on and off the slopes and lift tickets (equipment not included). 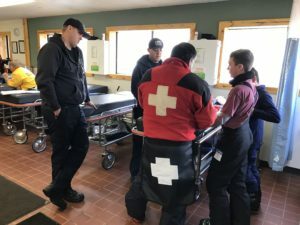 Scouts learn a wide-variety of snow sport skills including rendering first-aid, injury prevention, understanding the international trail marking system, skier/snowboarder responsibility code, avalanche safety and more! 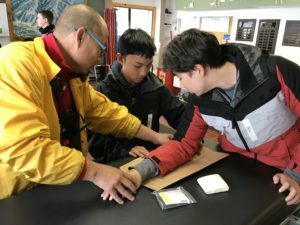 To inquire about earning a snow sports merit badge email us @ info@blueangelsnow.com or call (858) 509-8926. For more information about Blue Angel Snow, click here. 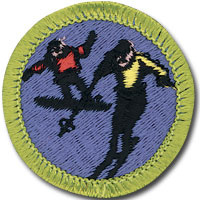 *Merit badges can be earned by any registered Boy Scout, Sea Scout or qualified Venturer.